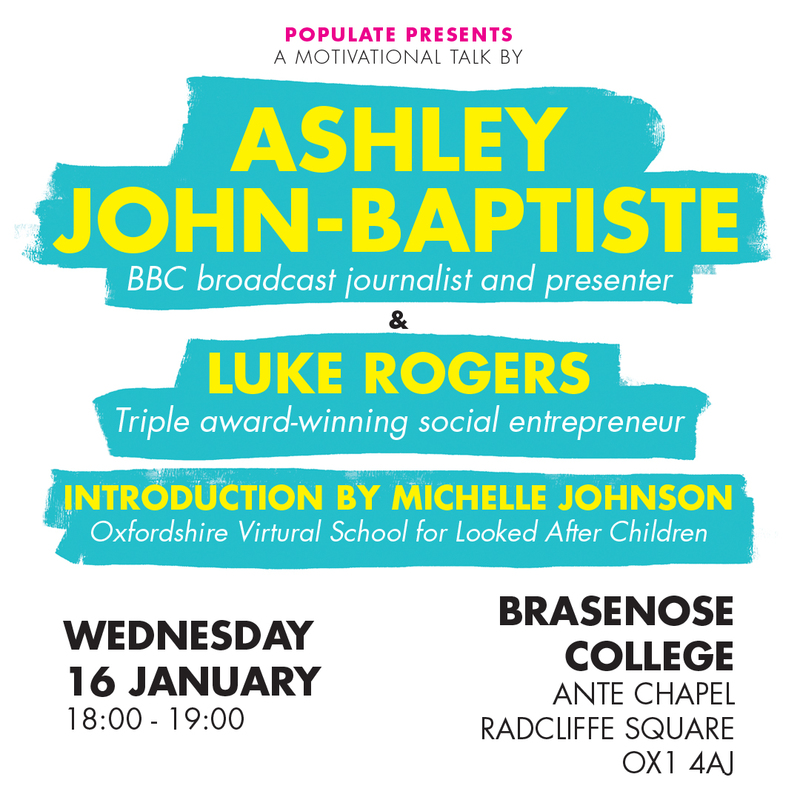 Ashley John-Baptiste was born in South London, he was taken into care at the age of 4 and found it difficult to settle into school. Winning a place to read History at Cambridge University, fighting against the bureaucracy within the local council who didn’t want him to go. Ashley will be talking about his journey from an X-Factor contestant to being an award winning reporter for the BBC. Luke Rogers is a triple award winning social entrepreneur who was recently on the Queens Honours list for his services. Luke will be talking about his work with children in care. Having gone to 11 primary schools and 13 foster homes he has a real depth of experience within the care system. Luke now advocates enabling change for many children in care. 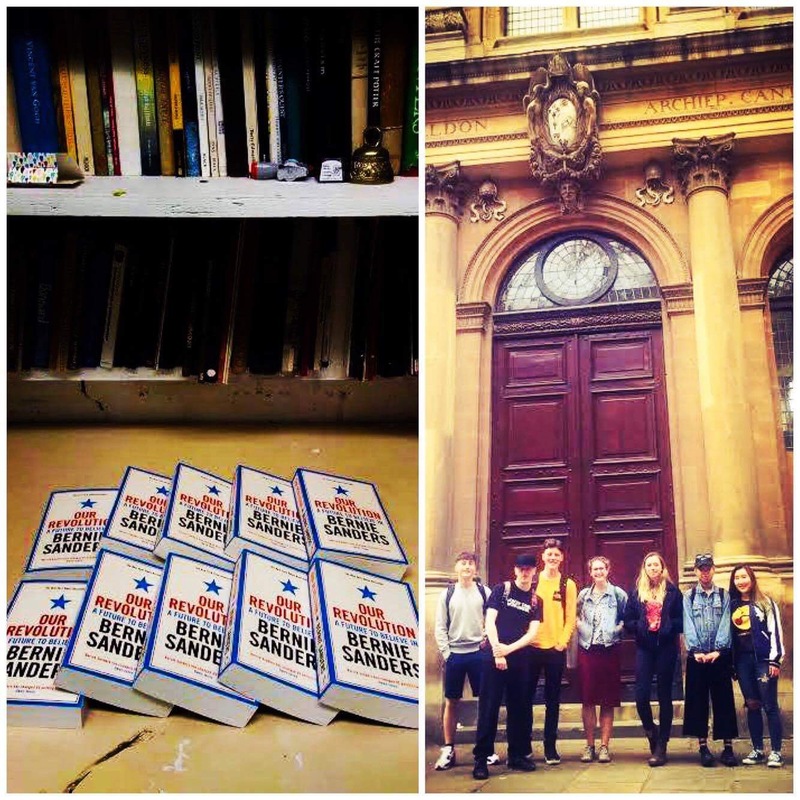 When Bernie Sanders visited Oxford ahead of the 2017 General Election, Populate worked with Young Women’s Music Project to negotiate free places so that a group of young people could from Oxford could hear him speak. We were also grateful to Profile Books for giving copies of Bernie Sanders book Our Revolution to the group who attended the event. Throughout 2016 Populate supported Lemn Sissay MBE and the diverse communities of Oxford to facilitate the first Oxfordshire Christmas Dinner for care leavers. Find out more about this project and get involved in the 2017 event HERE. 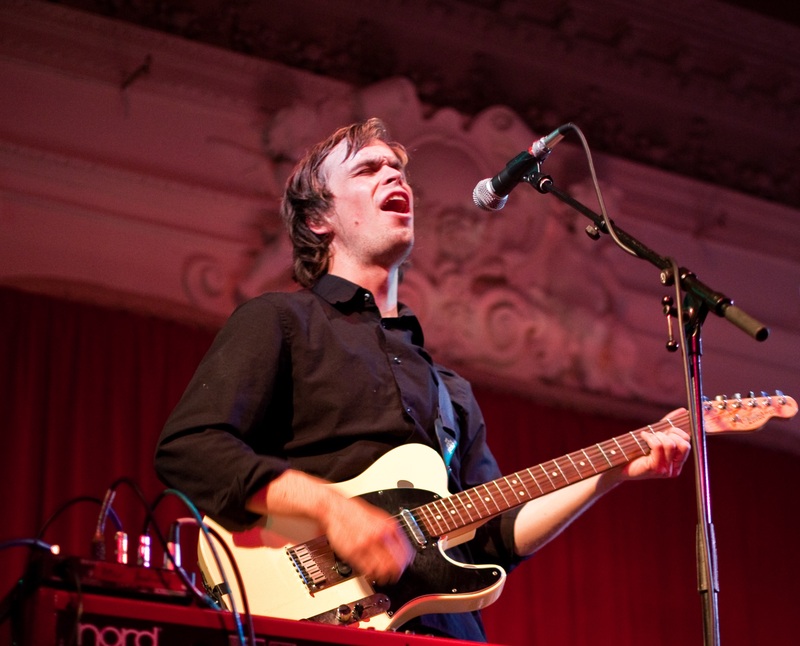 Peter Broderick is a solo musician, composer and has been a member of Efterklang. 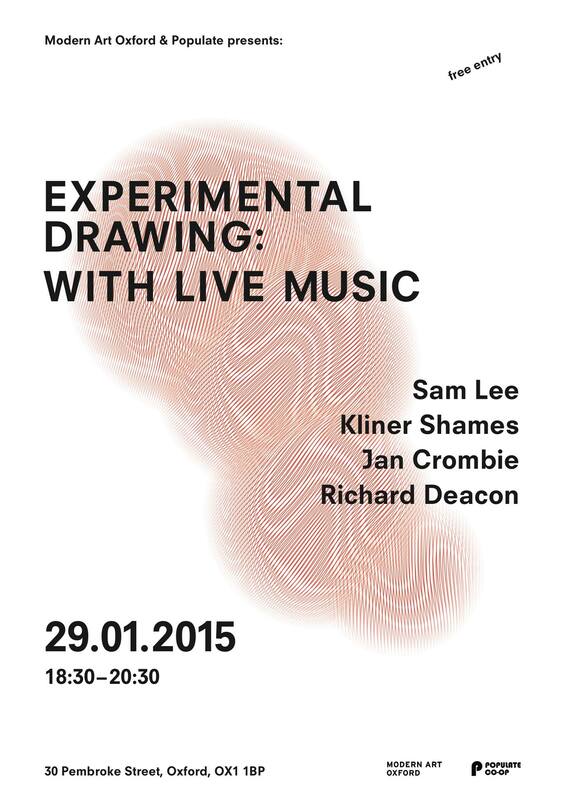 Turner Prize Winning artist Richard Deacon in converstion with Jan Crombie, including live music from Sam Lee and creative performance from Kliner Shames. Deacon’s work is abstract but often alludes to anatomical functions, often using everyday materials. Deacon calls himself a fabricator rather then a sculptor”. Deacon won The Turner Prize in 1987 and recently represented Wales at the Venice Biennale. Sam Lee is passionate about song collecting. He travels the British Isles learning songs from the communities of England, Scotland and Ireland. Sam’s album Ground of Its Own was nominated for the 2012 Mercury Music Prize, featuring his distinctive vocal style with a depth that reflects human experience. Jan Crombie was recently shortlisted for The Threadneedle Prize. Her work is a manipulation of paint rather than words, curating a form of unspoken and ambiguous narrative. Interested in myth history, make believe and theatres influences on the creation of fictional characters, Jan explores both personal and political concerns and community. Many of her titles are taken from poems of W.B Yeats. KLINER SHAMES is a painter on all things street. His work adorns walls from Bristol to Oxford. SHAMES uses graffiti painting and his creative freedom to explore ideas in public spaces. This event was created by Populate Co-op working in partnership with Modern Art Oxford. The Populate Co-op crew were behind bringing Grayson Perry to The Ashmolean Museum in 2013 to speak to a packed house about his journey in the art world. We took the opportunity to take Grayson on a grand rickshaw ride around the city’s key art destinations with The Foundling Museum’s Caro Howell. 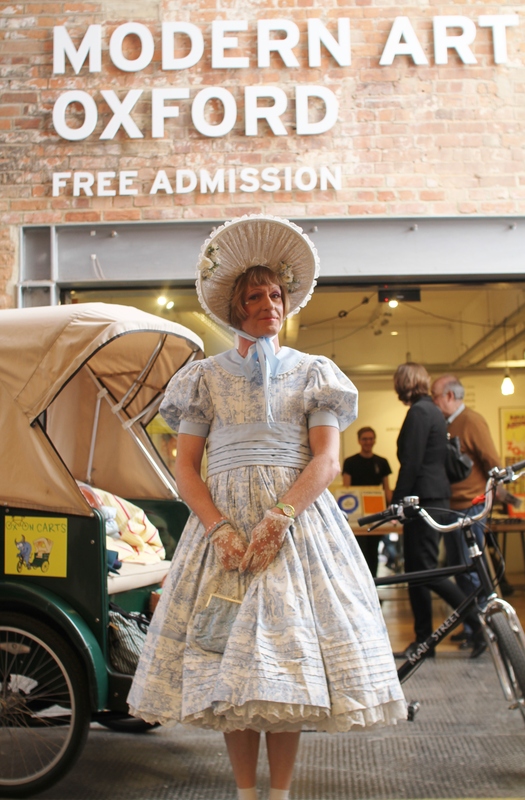 Populate Co-op’s connection to Grayson Perry continued through it’s support of The Foundling Museum’s annual Soup for 100 event. Every year since 2008 The Foundling Museum has hosted an annual dinner called Soup for 100. 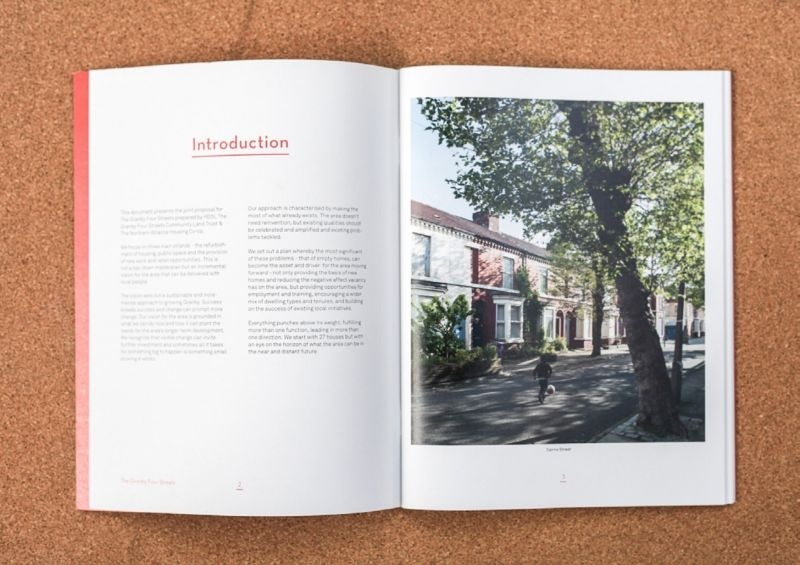 This was a project inspired by artist Richard Wentworth CBE (the then Hogarth Fellow for The Foundling Museum). He worked with artisjustaword (before it became Populate Co-op) and museum staff to facilitate this vibrant November event.